The goal of the Single Cell, Sequencing, and CyTOF (SC2) Core Lab (formerly known as the MiNGs Core) is to provide our research community with new, rapidly evolving technologies and instrumentation options for projects of any scale – individual researchers to large international teams. With a focus on rapid, accurate, reproducible high-throughput services and the bioinformatics support to interpret the results, the SC2 Core is committed to rigorous quality control standards to support the use of biological sciences for the advancement of biomedical research. We foster a collaborative environment across disciplines so that investigators can innovate and transform their research. Please contact us to discuss your research project. *Other panels are available; please contact us for more information and prices. *Please inquire for pricing on custom conjugations and custom panel designs. * Sequencing cost of libraries will vary with projects. The core has external contracts to have your libraries sequenced on a Illumina Hiseq 4000 platform at $1550 per lane (300-400 million reads per lane). 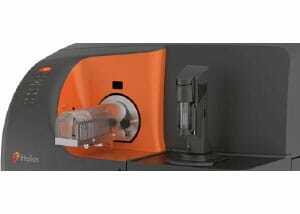 Mass cytometry (Helios, a CyTOF System, Fluidigm) combines time-of-flight mass spectrometry with metal-labeling technology to enable break through discovery and comprehensive functional profiling applications. With 135 available detection channels, this technology enables you to fully study the functional complexity of biological systems at the single cell level including phosphoprotein-signaling analysis on subpopulations of cells. 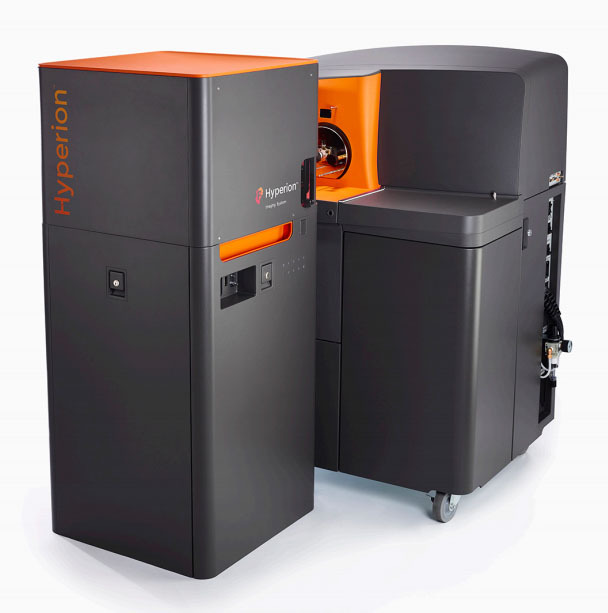 Imaging Mass Cytometry (IMC) on the Hyperion Imaging System uniquely combines a precisely directed laser beam focused at 1 μm to collect biological samples stained with metal-tagged Maxpar® antibodies and directs these tags for analysis with proven CyTOF technology. Bringing together the high-multiplex capabilities of mass cytometry with imaging using metal-tagged antibodies allows simultaneous interrogation of 4 to 37 protein markers in tissues and tumors at subcellular resolution while preserving the information in tissue architecture and cell morphology. Now researchers can detect discrete signals from each ionized metal tag based on differences in mass instead of wavelength at 1 Da resolution, and in contrast to fluorescence results, get uniform staining with minimal background. The SC2 Core has developed a Human Tumor Microenvironment Panel available for use with the IMC. Using this panel as a backbone, the core is able to customize this panel based on your project’s needs. Our IMC scientists can also assist with designing a whole new targeted panel for your specific project. 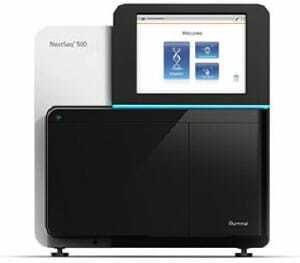 Massively parallel sequencers (NextSeq and MiSeq, Illumina) allow you to analyze single-cell genomics, RNA sequencing, microbiomes (bacterial and fungal), shotgun metagenomics, targeted gene analysis, and microbial whole genomes. The compact, sleek Chromium Controller has been designed to rapidly and efficiently automate highly parallel sample partitioning and molecular barcoding. 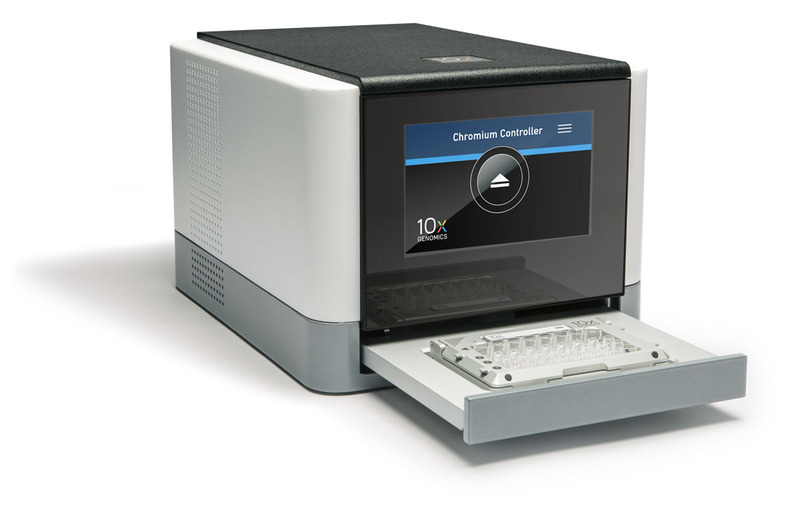 The Chromium Controller allows a user to run any Chromium Solution (see list below of all the Chromium Solutions available from 10X Genomics), spanning from genome to single cell analysis. The Chromium Single Cell Gene Expression Solution provides high-throughput, single cell expression measurements that enable discovery of gene expression dynamics and molecular profiling of individual cell types. The Chromium Single Cell Immune Profiling Solution is a comprehensive approach to simultaneously examine the cellular context of the adaptive immune response and immune repertoires of hundreds to tens of thousands of T and B cells in human or mouse on a cell-by-cell basis. The Chromium Single Cell CNV Solution provides a comprehensive, scalable solution for revealing genome heterogeneity and understanding clonal evolution. Study disease pathogenesis or characterize neuronal mosaicism at the single cell level. The Chromium Single Cell ATAC (Assay for Transposase Accessible Chromatin) Solution accelerates the understanding of the regulatory landscape of the genome, thereby providing insights into cell variability. The chromatin profiling of tens of thousands of single cells in parallel allows researchers to see how chromatin compaction and DNA-binding proteins regulate gene expression at high resolution. The Chromium Genome Solution provides long range information on a genome-wide scale, including variant calling, phasing and extensive characterization of genomic structure. Unlock critical genetic information for variants in heritable disorders, and discover key genomic alterations in cancer. The Chromium Exome Solution uses the power of linked-reads to fully resolve genic phasing, structural variation, and detect variants in previously inaccessible and complex regions of the exome. High-throughput, low volume real-time PCR (Biomark HD, Fluidigm) allows for up to 96 targets in 96 samples in a single run with minimal input RNA or DNA for gene expression, SNP, or CNV studies. Our bioinformatics team provides all of the latest bioinformatics resources and expertise required to derive meaningful results from data generated on all ‘omics’ platforms. We have extensive experience with many popular software packages for single-cell RNA-seq (kallisto, Monocle2, DESeq2), metagenomics (QIIME, Kraken, MetaPhlAn2), and mass cytometry (Cytobank) analyses. We have access to private Linux servers as well as the USC High Performance Computing Core to provide you with all of the computing resources you may need regardless of the size of your project. We provide a whole suite of services including analysis of experiments performed elsewhere. The authors thank the Single Cell, Sequencing, and CyTOF (SC2) Core Laboratory at the Saban Research Institute of Children's Hospital Los Angeles for their expertise and help in performing and analyzing the [sequencing, gene expression, single cell capture, mass cytometry] experiments presented. J. M. Bender et al., Maternal HIV infection influences the microbiome of HIV-uninfected infants. Science translational medicine 8, 349ra100 (2016). S. Yang et al., Investigation of a suspected nosocomial transmission of blaKPC3-mediated carbapenem-resistant Klebsiella pneumoniae by whole genome sequencing. Diagnostic microbiology and infectious disease 84, 337-342 (2016). Y. Yang et al., Autophagic UVRAG Promotes UV-Induced Photolesion Repair by Activation of the CRL4(DDB2) E3 Ligase. Molecular cell 62, 507-519 (2016). J. M. Bender et al., Quantification of variation and the impact of biomass in targeted 16S rRNA gene sequencing studies. Microbiome 6, 155 (2018). I. Blazenovic et al., Effects of Gut Bacteria Depletion and High-Na(+) and Low-K(+) Intake on Circulating Levels of Biogenic Amines. Molecular nutrition & food research, e1801184 (2018). N. T. Ho et al., Meta-analysis of effects of exclusive breastfeeding on infant gut microbiota across populations. Nature communications 9, 4169 (2018). P. S. Pannaraj et al., Association Between Breast Milk Bacterial Communities and Establishment and Development of the Infant Gut Microbiome. JAMA pediatrics 171, 647-654 (2017). V. L. Ha et al., The T-ALL related gene BCL11B regulates the initial stages of human T-cell differentiation. Leukemia 31, 2503-2514 (2017).